Observation - Lichens - Global. 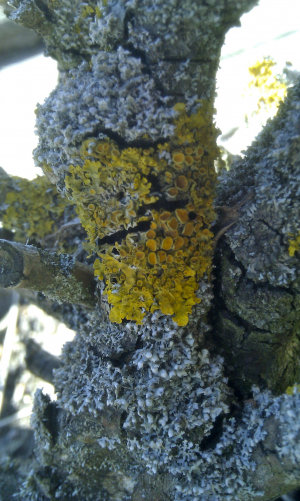 Description: I assume there are 2 species of lichen here. Spotted in Odense, Denmark. I assume there are 2 species of lichen here.